Even while everyone always has an eye on their children or grandchildren, the most attentive parents won't be able to protect them all of the time. 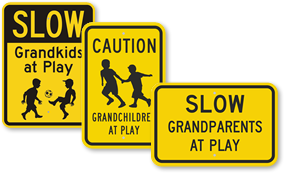 Use a helpful grandchildren at play sign for your local park, school, or just in your front lawn, to protect your kids no matter where they are. 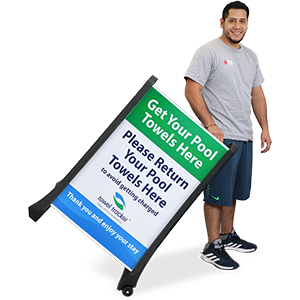 • Manufactured with premium materials, so our signs won't bend, rust, or corrode in inclement weather. 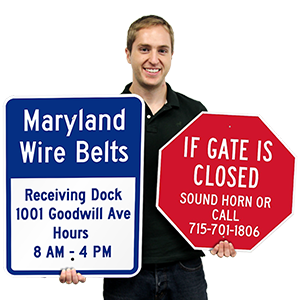 • MUTCD-compliant signs and feature bright, fluorescent colors and bold headers to instantly grab attention. 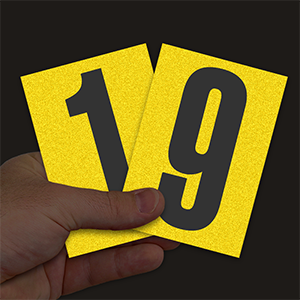 • Vivid signs help reinforce an important information to keep children safe. Choose from our library of Slow Down for Children signs here!